2. Melt away the fatigue and stress from your trip through various massage programs! 5. Free giveaway of cosmetics(around 90,000 KRW) is given to Seoul Pass customers exclusively! Reserve right now before it runs out of stock! The luxurious building in Sinsa, A.H.C Play Zone provides shopping, cafes, hair make-up, make-up, nail arts, and SPA that you can do everything inside. The building is a hot place where famous Korean actors and singers often visit! Experience SPA with the luxury A.H.C cosmetics line, the world-famous cosmetic brand. • Enjoy a luxury spa with A.H.C Premium Care Line. • 1:1 high-quality service and professional therapists are guaranteed. • This is a PRIVATE room with shower, toilet, powder room, and dress room. • Even the sensitive skin customers are satisfied with the quality. • You can make-up after SPA since make-up products are provided in the powder room. A.H.C PLAY ZONE is a high-quality total beauty store operated by the global cosmetics brand, A.H.C. Its modern and stylish shop is located in Garosu-gi, Sinsa-dong. 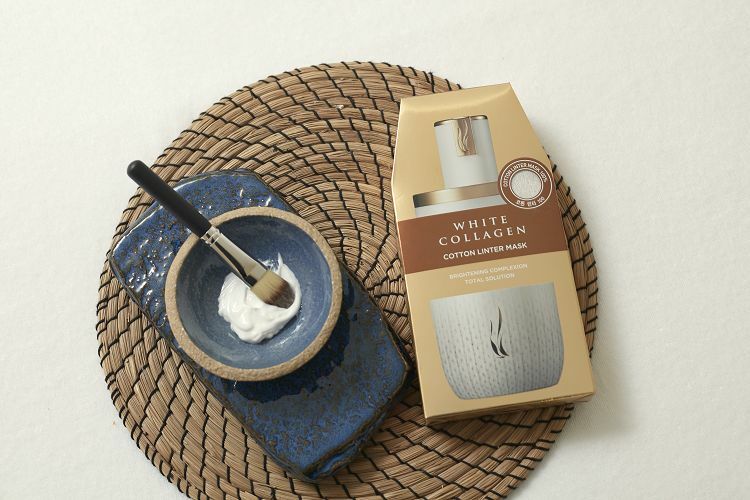 With rich moisture of premium hydration treatment massage, Hydration Gen Treatment will rejuvenate tired and dry skin into live one by relieving skin stress and giving vitality. Pressure Point Firming Treatment is a small facial massage for those who want the V line. It removes the waste from the face and presses the important lymph to make your face V line. All customers who want the V line should make a reservation right away! Facial Only For Men is programmed with a deep understanding of men's face and skin. Since scalp massage is included, men with sensitive scalp due to stress or men who suffer from hair loss can enjoy it. Anti-Stress massage is programmed for workers suffering from chronic pains of back and shoulder. It relieves pain in the shoulder and back muscles caused by stress and fatigue and restores the body and mind to the best conditions. Anti-Stress massage is programmed for travelers suffering from travel fatigue. The swollen and tired legs are softer that you can release stagnant fluids and waste materials to make your legs look beautiful. Whole Body Massage is highly recommended for swollen travelers and customers who are tired of shopping and traveling. 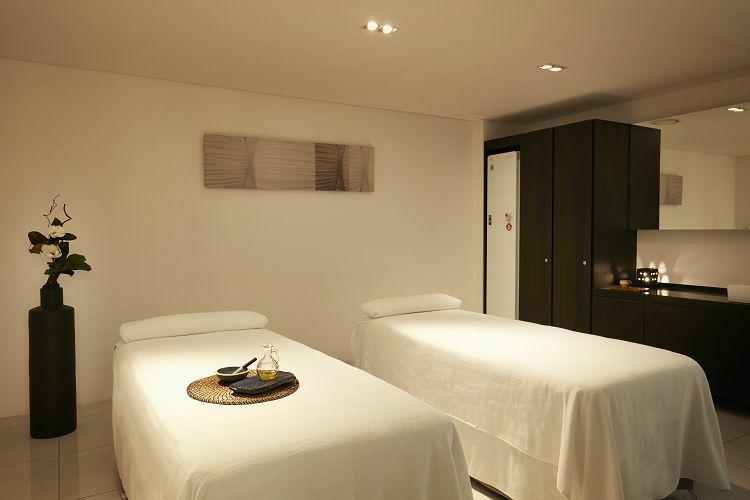 Get a massage to relieve fatigue and make your skin moisturized! 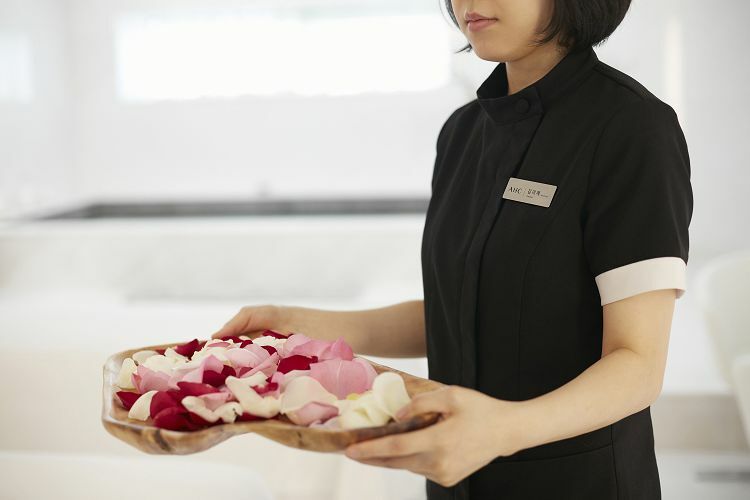 Luxury Spa, Body & Facial Programs is a lymphatic drainage massage that is popular among Koreans at A.H.C. Lymph is a place called "Vacuum Cleaner," which collects and removes waste from the body. Lymphatic drainage massage should be given regularly to prevent skin diseases, swelling, and even cancer. Above all, it removes swelling and wastes accumulated in the body to make the skin tone lighter and slimmer. With lymphatic drainage massage, and so on that are prepared with long-lasting tradition and essence of A.H.C! Slimming Body Massage is a whole body treatment program that decodes the stagnant parts of wastes and fat. Though its own therapy technique, A.H.C provides light and beautiful body lines. 1. Reserve and purchase the desired option. 3. Arrive 10 minutes before the meeting time on the day of reservation. 4. Tell your name on 3F and enjoy SPA. 1. Refund is not possible if you are penalized for being late. 2. Up to 2 people are allowed in 1 one. You can use the VIP Room if you reserve more than 500,000 KRW. Up to 3 people are allowed in 1 VIP Room. 3. Since A.H.C SPA is a super popular product, your reservation cannot be made at a desired date and time. In this case, our CS Team will contact you via email. Please check your email! 4. You can buy cosmetics on-site, please inquire SPA staff if you want! ※ When the gift is out of stock, it may be replaced by other products; the event may also end without prior notice.